The first few levels of Destiny progress fairly quickly, and difficulty scales well alongside the Story Missions. Sample new modes and areas as they open up. Try Patrols on Earth as they become available, take part in Crucible match modes, and replay a couple of Missions with friends to build skill and experience. Destiny power leveling let you upgrade faster. To get a real early jump on the experience curve, exploit Bounties. Clever players can take advantage of the Bounty Tracker station in the Tower. 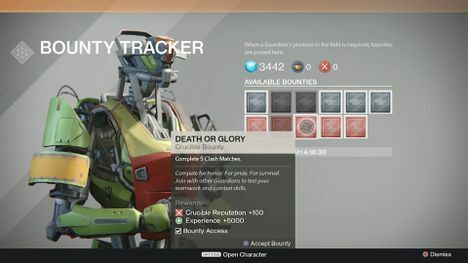 The Bounty Tracker sells a number of pre-defined bounties to players, many of which include prominent rewards. 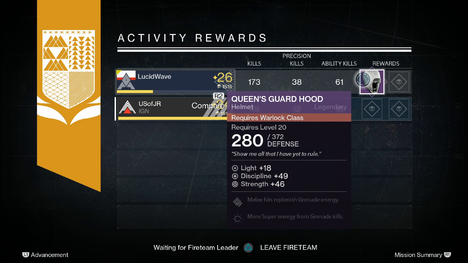 Several of these rewards are tied to multiplayer modes in The Crucible. Many of these require no particular skill on the part of the player, demanding only that he or she complete 5 of a particular type of multiplayer mission. The Story Mission rewards scale less favorably after level 9, so the Bounty exploitation mentioned above really begins to make a difference. Strike Missions also become an inditing source of experience, as the compounding XP from defeating enemies and the Strike missions themselves really begins to add up. Characters at this level are also potentially competitive in The Crucible, and can draw quick XP rewards through multiplayer which transfer back to the single-player campaign.